Once upon a time, I hated coconut. Why? No telling, I just did not want it - whatsoever. Now it's a totally different story - I'm a coconut addict. Coconut sprinkled on top of oatmeal, mixed into batters, coconut butter spread ontop of muffins, coconut chocolate, coconut water by the gallon - choose coconut in any form and I'm onto it! 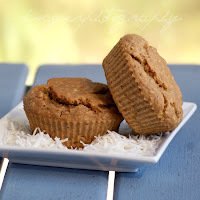 So it was only natural that I took my favourite Banana Protein Muffins and made them even better with the addition of coconut. I was inspired to make this recipe after receiving a package from my lovely friends at Ayam. In that package was there entire coconut range! Coconut milk and coconut cream both in "light" reduced fat versions and full fat versions. Ayam coconut products are 100% natural and gluten free. This means they are free from any nasty preservatives or additives that are bound to cause problems for sensitive stomachs like mine. I used the Reduced Fat Coconut Milk which contains 44% less fat than regular coconut milk but still has all of the flavour. Ayam's Coconut Milk also contains no added sugar, which means it's perfect to use in both sweet or savoury recipes. But when you're talking to me - of course muffins come first over any savoury recipe (or any recipe in general, for that matter!). At my house, we call these protein muffins "power muffins" - because they give you an energy boost to get you going about your day. I keep a bunch frozen so that I can defrost them for on the go snacks. 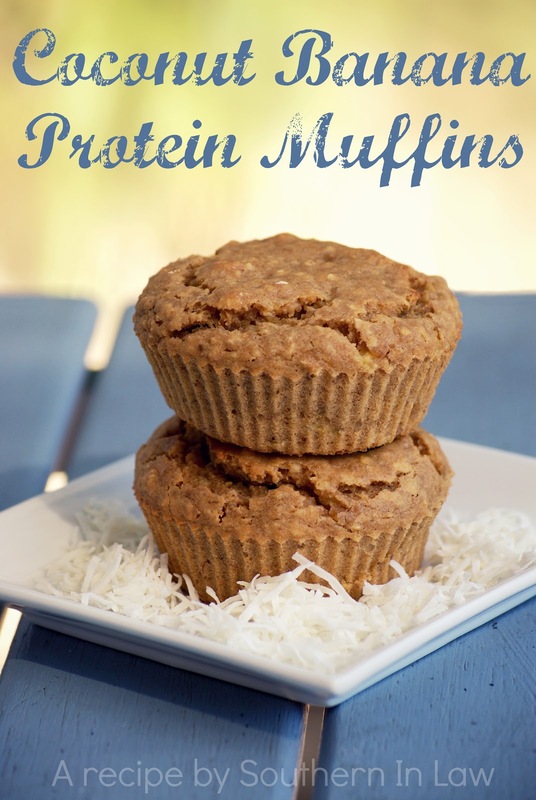 makes 6 low fat, high protein banana muffins that can be gluten free and/or vegan. Prepare a texas sized muffin tin (or ~10 regular sized muffins) or grease and line an 8x8 baking pan. In a bowl combine the first 5 dry ingredients. To dry ingredients, add in mashed banana, vanilla, coconut milk and sugar and mix until combined. If using, stir in chocolate chips and spoon out mixture into muffin cups or prepared pan. Bake for 15-20 minutes for muffins/20-25 minutes for bars or until set and the edges start to pull in from the sides. Allow to cool before slicing, eating, storing in the fridge or freezing. 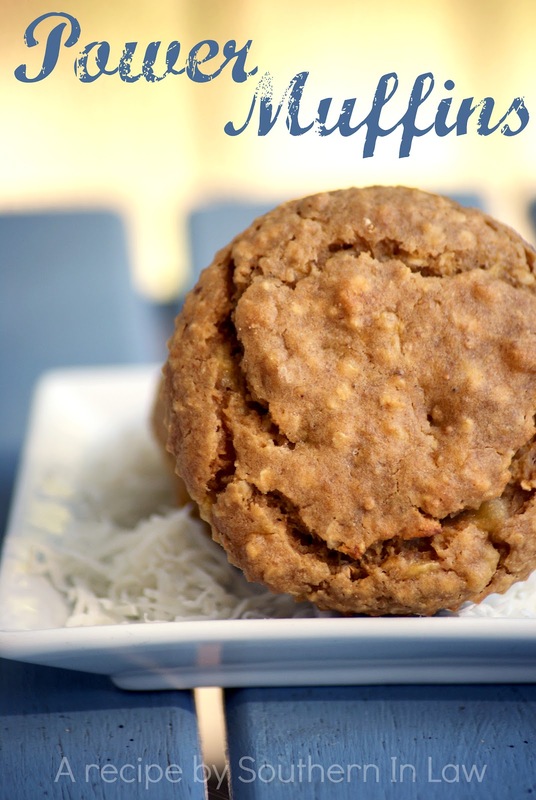 Quinoa Flakes/Rolled Oats/Flour I've used all substitutions - I prefer the quinoa flakes for the extra protein while still keeping the muffins soft and moist. 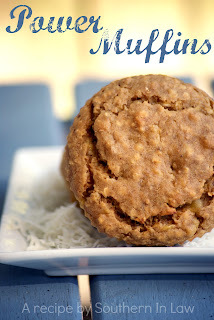 If you use oats, the texture is a little coarser but you can easily grind them for a softer texture. If you don't have either, use an extra half cup of flour! I've had a friends try these with both flavoured and unflavoured protein powders and both worked perfectly (though vanilla protein powder was said to be a winner!). Using a flavoured protein powder will make it sweeter, so you may want to use less sugar. So tell me, what food didn't you like as a kid but you love now? Ahhhhh! Beautiful...JUST beautiful! I used to hate coconut too! When I was younger, my great-grandmother would ALWAYS have desserts for us after our Sunday lunches...coconut cake for the grown-ups and ice cream sandwiches/popsicles for the kids. I guess for years, I always thought of it as a "nasty grown up dessert"! Lol Funny, now that I'M the grown up, I can't get enough! Ok, so this may be a stupid question, but what's the difference between coconut cream and coconut milk? Also, you think quinoa flour would be good to use in place of the quinoa flakes? 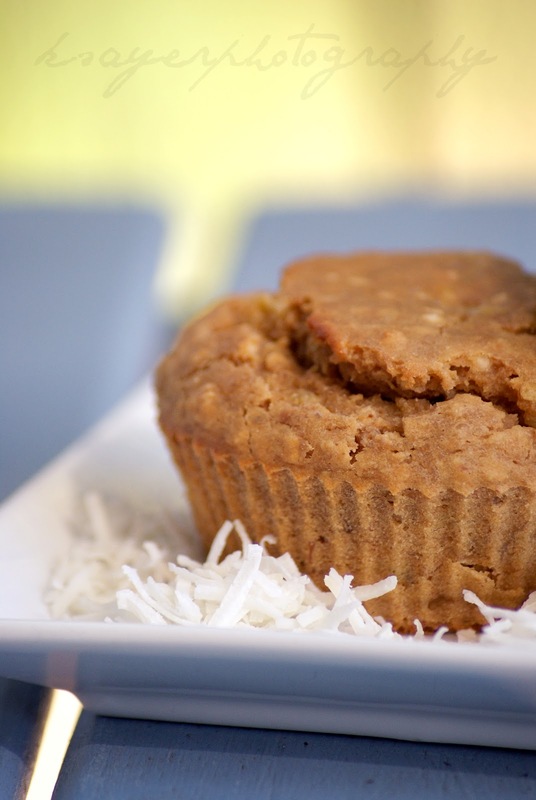 You can definitely use quinoa flour in place of the quinoa flakes! Coconut milk is coconut cream with water added to it 1/2 cream + 1/2 water = milk! Hey lovely, unfortunately you can't buy peanut flour in Australia yet but I get it shipped from iHerb.com! Be warned, it's the most incredible online store for health foodies and you'll be hooked like me! If you use the coupon code OTO868 you get $5 off your first order (or $10 off if you spend more than $40) and the packages come so quickly! Oh Bec, don't worry - the iHerb shipping prices are actually really good. They often have discounted shipping as well! 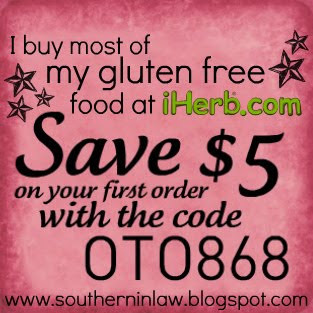 Just be warned - if you're anything like me, once you start looking at iHerb, your cupboards will be overflowing with deliciousness ;P I even made an iHerb order when I went to Louisiana to make sure I had things I could eat! Ps. I'm totally overwhelmed by the site! So many times I've said how much I wish I had that product here in Aus- now I can get them and I've totally forgotten what to look for.. haha.